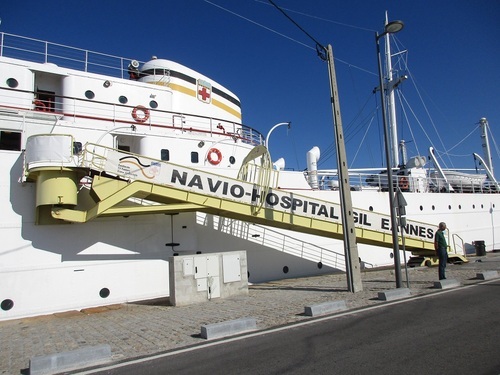 The Hospital Ship Gil Eannes, which is currently berthed at the port of Viana do Castelo (Rambla Alves Cerqueira, Doca Commercial 4900-321), was built in 1955 to provide healthcare to the portuguese codfishing fleet in the seas of Newfoundland and Greenland. Its name derives from the portuguese navigator and explorer Gil Eanes who was the first to cross Cape Bojador in 1434, unwittingly introducing the age of the great discoveries. 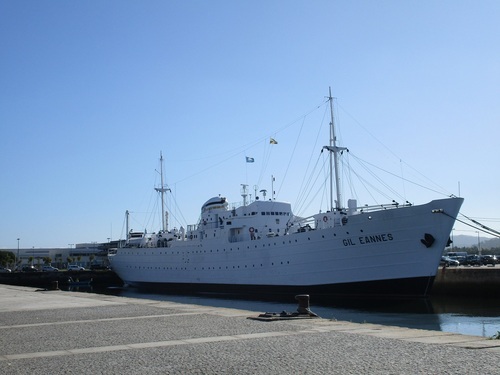 The hospital ship consists of five floors. Two floors above sea level and just three below. The medical restricted levels are the main desk (-1) and the surgery (-3). It’s made from seven rooms, each one with a specific function. When you go down the stairs, the first place you can immediately see is the operating theater. 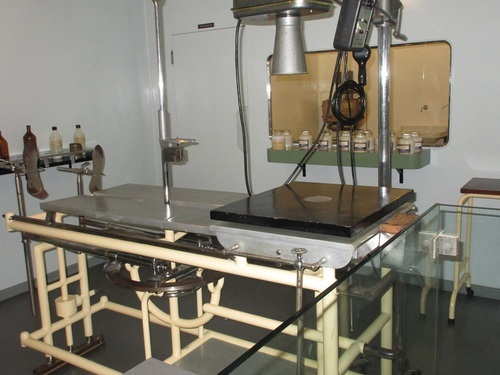 As it can be seen, it was a typical operating room of nineteenth century hospital. It’s a very big room, in fact it could house several surgeons simultaneously, as the mannequins show (figure 1). 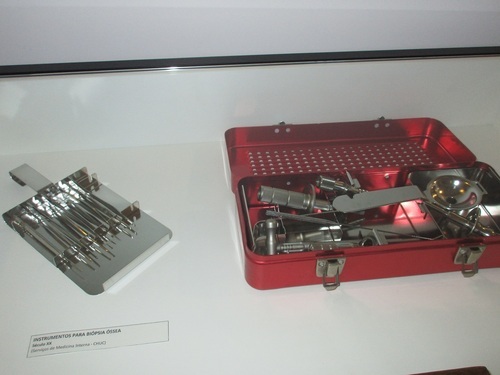 Besides, it was equipped with basic and emergency instruments for surgical offshore operations. 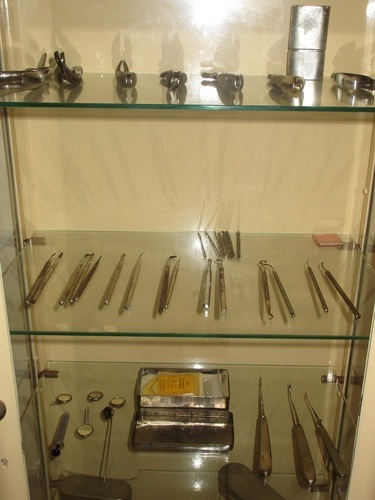 Along the walls, there are showcases in which the original and authentic surgical instruments are conserved (figure 2-3-4). On floor-1 there are the wards for first crew’s care, medical assistance and treatment. The most important areas are the physician's visiting room and the X-Ray room. The physician's visiting room was used as the infirmary and for crew’s routine visits. 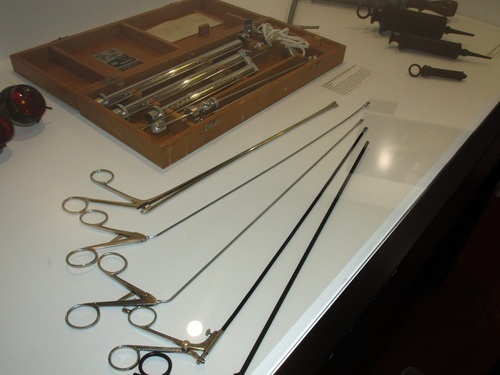 In this room you will find the examination table (figure 5), one of the oldest sphygmomanometer of the IX century and some different stethoscopes. 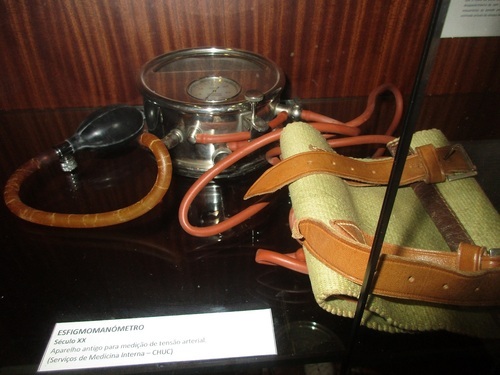 The sphygmomanometer is among the first oscillometric models: you can already see the absence of the mercury column, a feature of the instruments of the IX century, and the introduction of the rubber bulb (figure 6). 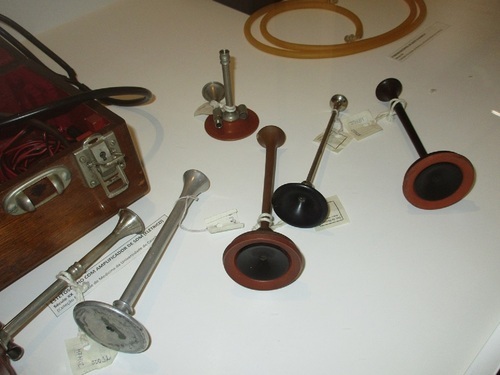 Monaural stethoscopes are wooden and metallic, removable (figure 7). 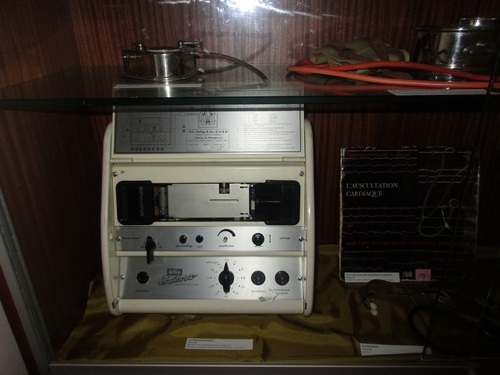 A further evidence of the particularly technological and innovative navy’s instrumentation is given by the presence of the electrocardiograph (figure 8), an instrument that was planned for the first time in 1903 by Einthoven. 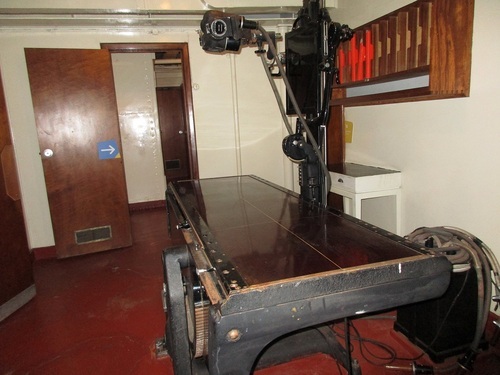 Next to the consulting room there is the X-Ray room (figures 9-10). It was available for more accurated medical exams to diagnose mild and serious traumas. 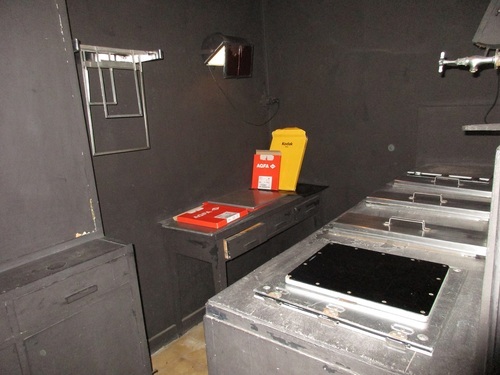 In fact, the adjacent dark chamber (figure 11) was used to develop patients’ x-ray images. 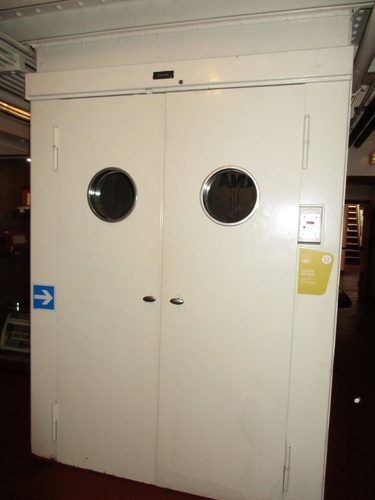 There is an elevator used to directly connect the level -1 to level -3. 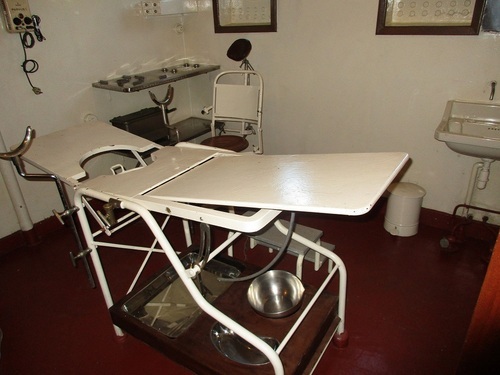 It was uniquely designed to transport the stretchers from the operating theater to the main deck and back again. In fact it didn’t stop at level -2 (under deck) for ordinary trips. As you can see (figures 12-13), the lift is very large and spacious to transport medical staff in addition to the bedridden patients.